There are movies and characters that stay with us over time. They persevere, they linger in the halls of our memories and years later, when we think of them, the elicit a reaction. E.T., Wall-E, Rambo, The Terminator, Woody, Darth Vader, Jar Jar Binks and of course….Howard The Duck. 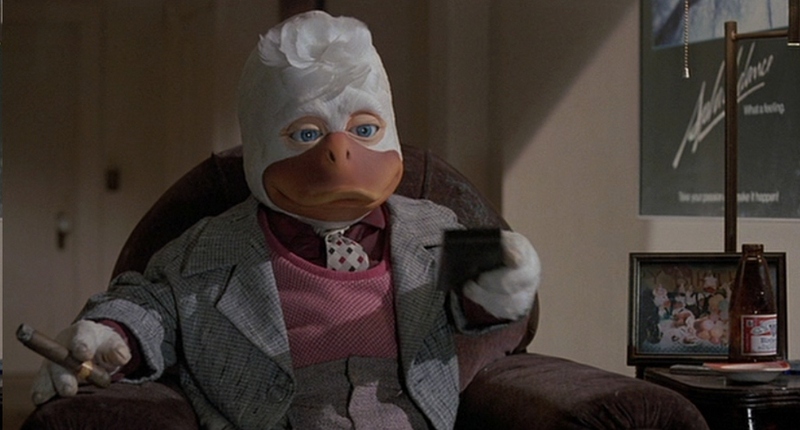 Yep, we said Howard The Duck. We did NOT say that the elicited reaction was good or bad, we will leave that up to you. That being said, we are sure that when you read E.T. you thought, “E.T. phone home”, when we said Wall-E you thought, “Eeeeeeeeeva” when we said “The Terminator” you thought, “I’ll be back” and so on and so on. 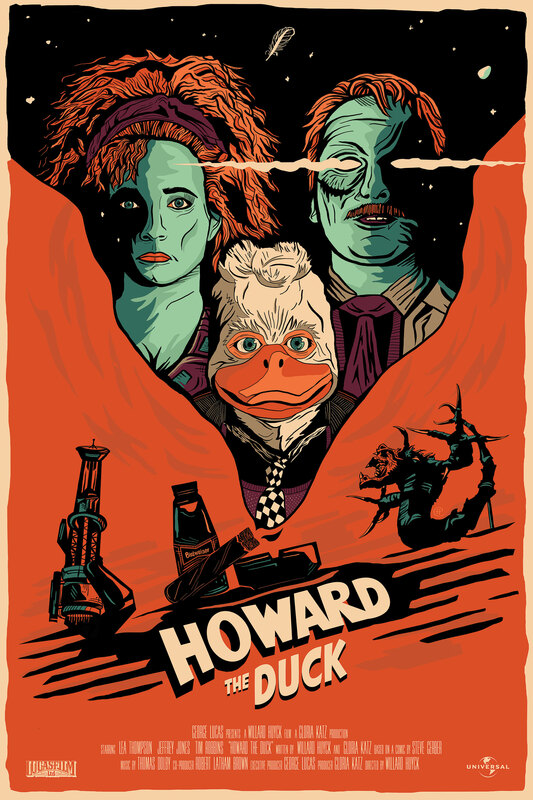 One thing we don’t know is what you said after we mentioned “Howard the Duck.” Recently, Austin, Texas artist Harlan Elam was commissioned by a group of folks that most likely thought, “No one laughs at a master of Quack Fu!” They also thought, it’s time to give the film the credit it is long overdue….a proper alternative poster. Here is what Harlan had to say about the project. 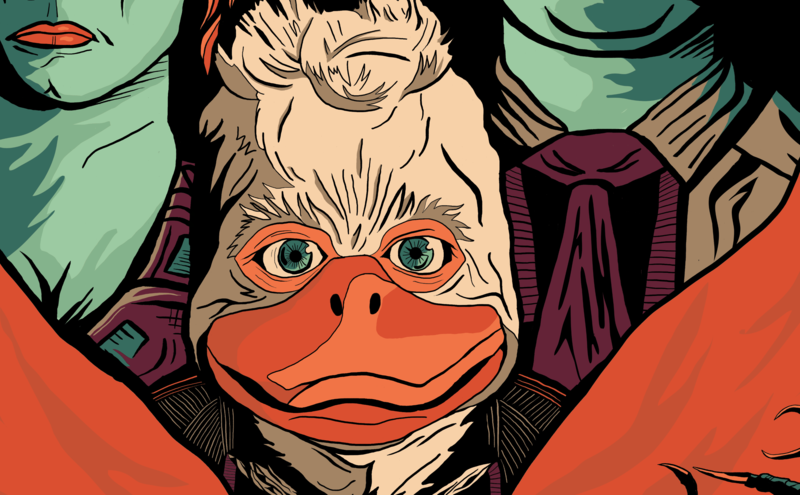 I was recently commissioned to illustrate an alternative movie poster for Howard the Duck from 1986. You know, the George Lucas one. With Lea Thompson and Mr. Rooney. The infamous big-budget flop, based on the Marvel Comics series. Yes, there are people who want a poster for what many consider to be an amazing waste of celluloid. I am one of them. 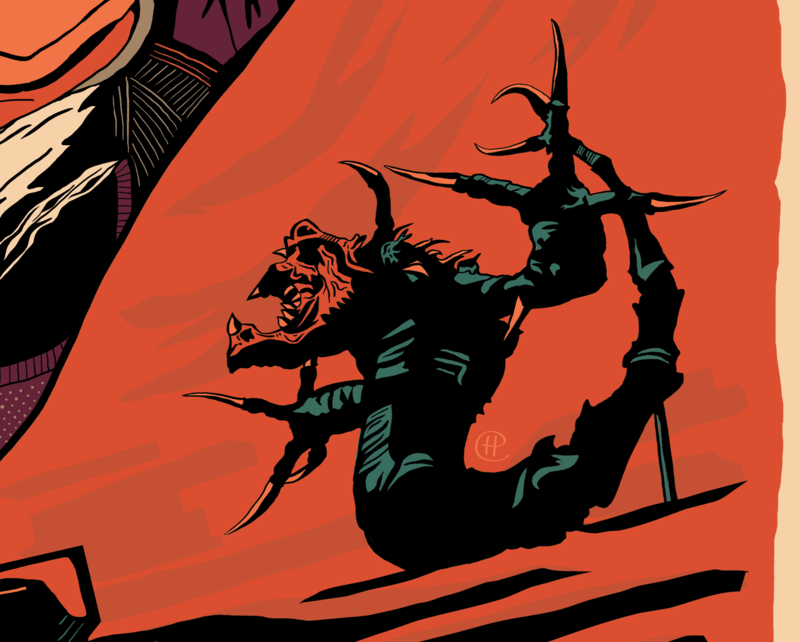 I didn’t hesitate to take the project as it was a childhood favorite and I thought it would be challenging to create art for a movie that most people just really didn’t like. In the poster I wanted to present what could be Howard’s desk after the events in the movie. 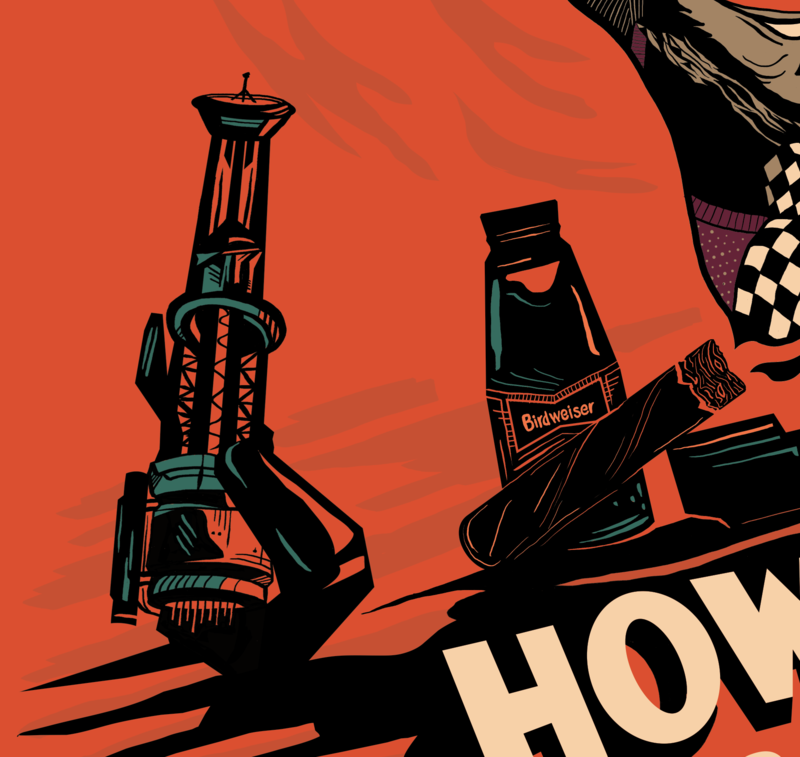 The centerpiece being a Birdweiser beer bottle behind a lit cigar with the main characters revealed in the smoke. To the left and right are toy replicas of the laser spectroscope and Dark Overlord monster from the climax of the film. I figure Howard would have these to brag about saving the world. This one by George Lucas is beyond bizarre but we love what Harlan did with the poster. Follow Harlan on TWITTER to stay up to date on new releases, gallery shows, etc.